The Humboldt County Coroner's Office at the scene. 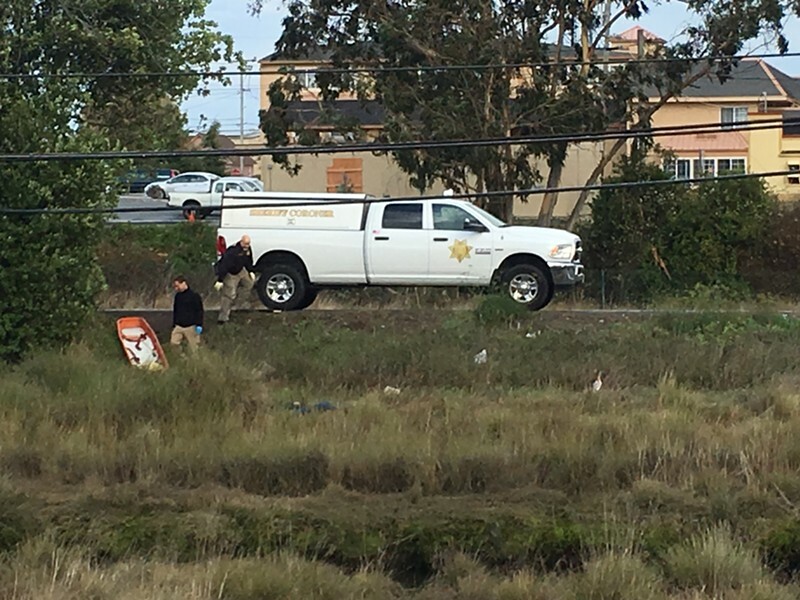 The man found dead in a green belt area near U.S. Highway 101 on Dec. 14 has been identified by the Humboldt County Coroner’s Office as Michael Kenneth Pohl. He was 29. According to a release, Pohl died of “impact injuries due to a motor vehicle.” No suspect has been identified. Earlier information from the Eureka Police Department indicated that the hit and run is believed to have occurred around 7 p.m. on Dec. 13 and may have involved a dark-colored SUV. The Humboldt County Coroner’s Office has identified the victim of Eureka Police Department’s suspicious death investigation on Dec. 14, 2018 as that of 29-year-old Michael Kenneth Pohl. Pohl was residing as a transient in Eureka at the time of his death. Pohl’s autopsy was conducted on December 15. His cause of death has been determined to be: impact injuries due to a motor vehicle. Anyone with information regarding this case is urged to call Eureka Police Department Detective Richard Bise at (707) 441-4109.